Do you remember earlier this month when I posted thrifted finds? I showed you five dresses that I had found in Charity shops or from the back of mum’s wardrobe. In that post I promised to do a personal style post and here it is. 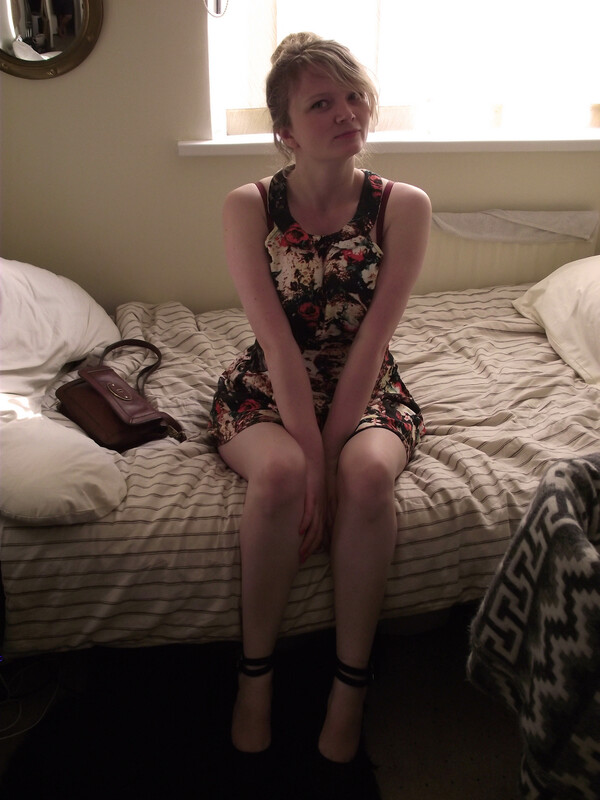 This photo was taken just before my boyfriend took me out for a date at the Picture House in Canterbury. Which is this really good posh burger restaurant, I definitely recommend it. Each burger has a film inspired name which just adds to the charm, I had the ‘godfather’ which as you can image was meaty. If your a fan of man vs food then this place has the dish for you, its called the Terminator which is a meat feast with all the sides, it cost £20 but in true man vs food style if you eat it all you get it free. Its been a month since I first got back in to blogging and posted that article on Stella McCartney (read it here) which I am very pleased to say got featured in a IFB project round up. I submitted this post think I may as well give it a go and the next thing I knew I had been selected with made the perfect kick start. So much time and effort went into that post, I spend a lot of time reading through books (yes actual books) and various interviews to write a post that was informed and interesting. I don’t know about you but I get bored of simple seeing catwalk photo’s and sometimes I want to know a bit more about the designer them self, so I can understand what motivates and moves them to create the garments that I love. I am a big believe that if you can do something yourself (and you’ve got the time), why not? This ethos inspired me to write this easy and simple DIY post (read it here) which gives you easy step by step inductions to create your own Dip-Dye shirt. I couldn’t have been more pleased with the results and what’s more its a really easy look to achieve. Since then I have also done my first beauty post with product reviews. This couldn’t have been a more fun post to write as it challenged me to photograph my products in a way that was playful and had a bit more to the images than a white background. Part of what draws me to blogging is the creativity and the challenge to create posts that are more dynamic and useful than the last. One of the challenge has been creating beautiful imagery as I do like to delve in to photography, I am so proud of my most recent post ‘So much more than a man bag: Marvellous men’s accessories from Scandinavia‘ as I really took it upon my self to create an image that could hold it’s own. I would love to know what you think. I didn’t forget to share my quirky side with you. Just take a look at ROAR-some Pre-Historic Jewellery and Jane Bowler an innovative fashion designer for a taste. I have some amazing posts in the pipeline including a series on Margate, so don’t forget to follow if you haven’t already.